Georgie Flores Photos, News, and Videos | Just Jared Jr.
Dove Cameron rocks a cat-eye on the carpet at the Teen Vogue Young Hollywood Party at the Los Angeles Theatre on Friday night (February 15) in downtown Los Angeles. The 23-year-old actress and singer channeled Natalie Portman in the movie Black Swan for her appearance at the event, which was presented by Snapchat! Dove supported her Dumplin’ co-star Danielle Macdonald, who was honored with one of the mag’s five covers for the Young Hollywood issue. Danielle‘s co-stars from the Netflix movie Dumplin’, including Dove, Georgie Flores, Bex Taylor-Klaus, and Luke Benward, all attended the event. FYI: Dove is wearing a Giambattista Valli dress. Georgie is wearing a Caroline Constas dress and Tamara Mellon shoes. 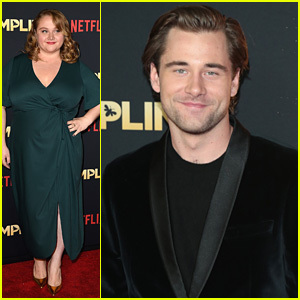 Luke Benward suited up all sharp for the premiere of his new movie, Dumplin’, with co-star Danielle Macdonald, held at TCL Chinese 6 Theatres on Thursday (December 6) in Hollywood. 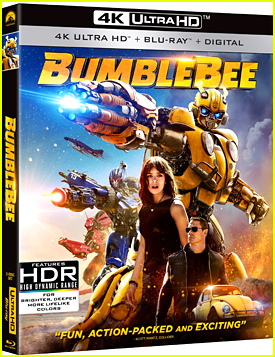 The two stars were joined by Odeya Rush, Georgie Flores, and Bex Taylor-Klaus. Dumplin’ centers on Willowdean (Macdonald), nicknamed Dumplin, a confident, plus-sized teen who, to spite her beauty pageant queen mom (Jennifer Aniston), enlists in a local pageant. Dumplin’ premieres on Netflix TODAY, December 7th! Ariel Winter coupled up with boyfriend Levi Meaden at Refinery29‘s annual 29Rooms exhibition! The couple stepped out at the kickoff event on Tuesday night (December 4) at the Reef in Los Angeles. 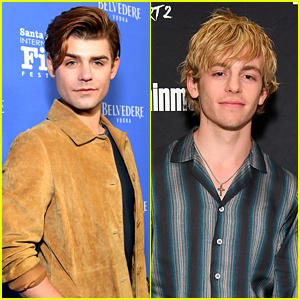 They were also joined at the event by Katherine McNamara, Chloe Bennet, Keegan Allen, Maia Shibutani, Lilimar, Georgie Flores, Anne Winters, Jade Pettyjohn and Harry Shum Jr.
Other attendees included Ellen Pompeo, Lena Waithe, Isla Fisher, Awkwafina, Kerri Medders, Hannah Simone, Arden Cho, SZA, JoJo and ZZ Ward. Katherine McNamara, Chandler Kinney, Willow Shields, and Georgie Flores pose for a photo while attending the Wolk Morais Collection 7 fashion show on Tuesday (June 26) at The Jeremy Hotel in West Hollywood, Calif. 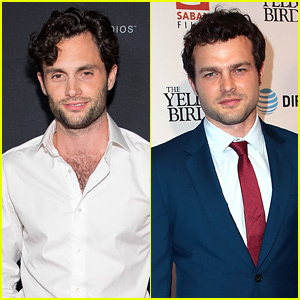 Some of the other stars that attended the event included Britt Robertson, Jayson Blair, Isabelle Fuhrman, Vida‘s Melissa Barrera, model Salem Mitchell, and former Survivor contestant Michael Yerger.